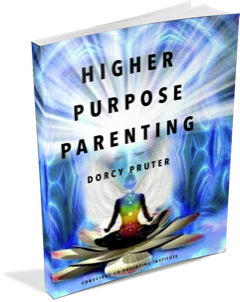 Module Nine- Embracing Your Power as a HIGHER PURPOSE PARENT! Explore your Lower, Middle and Higher Self, the ways in which they interact to create your perceived reality, how they hinder progress, keeping you stuck in the alienation dynamic and what to do about it. The child is the bond that holds the family together post-divorce. Understanding that emotions are NOT decisions. Focusing on the authentic child and NOT the other parent. Emotions are contagious, give your children your best emotions. Respond with empathy and love your children unconditionally! I have two sons, 15 and 17. My oldest son is completely alienated from me, for 19 months. My youngest son still comes but is also alienated. My mother also contributes to the alienation as well as some contribution from my sister. We were alienated from our father about the same age as my children from me. My sister gets angry and denies it, even though I've never even said that's what happened to us. My oldest son will graduate from H.S. in a month and I will not be invited. He won't be 18 until December but no one will tell me where he intends to go to college, if he has a job, etc. Things have improved with my younger son, for the most part. He will now frequently return my "I love you's" and even accept a hug. Mostly we are getting along better. Tomorrow is a mediation day so he has been really ornery and argumentative. I'm sure it has to do with that, even though he shouldn't even know about it. But it's typical. My ex always amps it up during stressful times for her. I am taking back my deservedness, and not accepting crazy doublespeak. I know my older son still loves me and needs me, but can't escape, yet. We'll get there, even with the split in the extended family. This class has helped me think about my own part in contributing to the alienation, but it's not so much about me being or doing evil like I have been told so much from my mother and ex, which I absorbed, but about my believing those lies. I now understand the gaslighting and manipulation done to me and our children. I have some compassion for my ex, a lot more for my children and also for myself. I also am firm now that I will not ever give up on my children. I am their parent and they deserve and require me to recover them and help them heal. 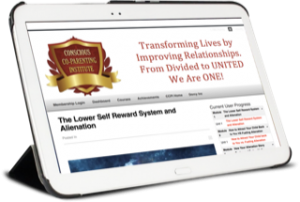 - The tools necessary to re-establish a healthy, loving relationship with your authentic child!! "I feel so empowered from this class! I see that my entire world is changing. 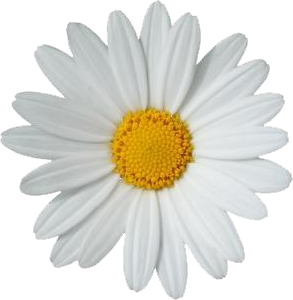 I was able to listen to my children and understand the anger towards me. They got sick of me being a victim. And now I own up to my fears and I'm not afraid of losing my kids and that is attracting them back to me." "My two oldest kids came to visit this past weekend after months!! My youngest wants to live with me primarily and is now able to come forward in a modification without paralyzing fear from dad!" "Amazing how this work can be applied to all aspects of life. Higher Purpose Parenting rocks!"